Topeka ? Wind energy advocates and rural officials Wednesday urged the Legislature to require utilities to increase electric generation through renewable sources, saying it would boost the state’s economy. 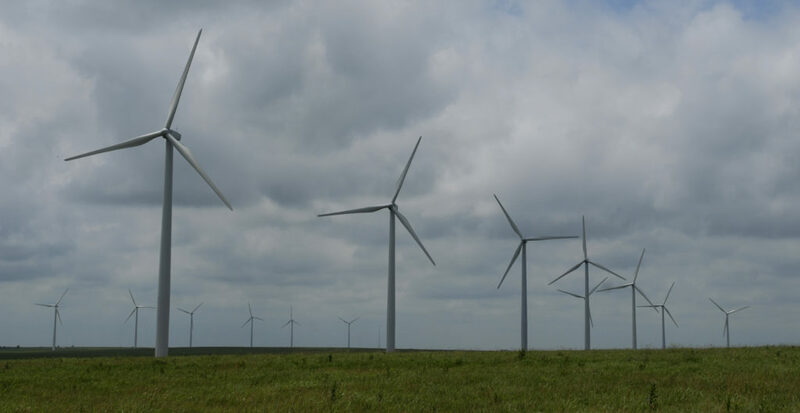 “Enacting this legislation will foster a boom in wind energy development in Kansas,” Dan Hartman, who was representing the Northwest Kansas Regional Energy Collaborative, said in submitted testimony to the House Energy and Utilities Committee. House Bill 2013 would establish a renewable portfolio standard that would require that each public utility produce at least 10 percent of its electricity from renewable energy sources by 2012; 15 percent by 2016 and 20 percent by 2020. There is currently a voluntary goal of renewable energy, but supporters of the bill say a statutory requirement is needed to entice wind developers and manufacturers of wind turbines. A majority of states have similar requirements. Hartman said Kansas has the potential to become the “Saudi Arabia” of wind energy. 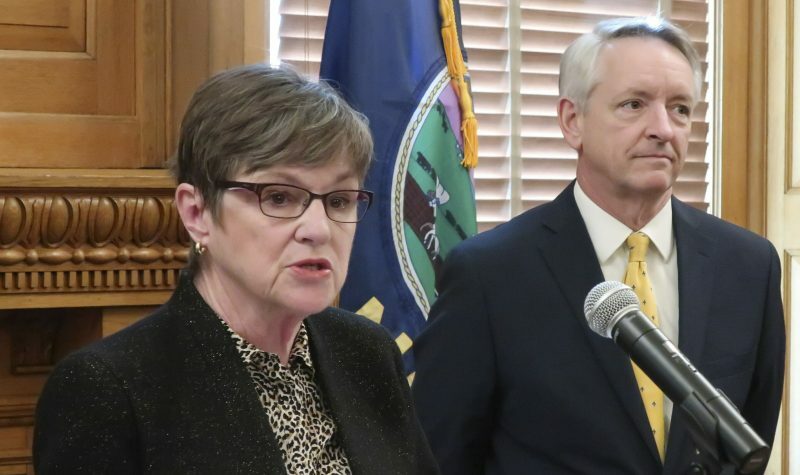 Without the renewable requirement, Kansas is losing out to other states in the development of wind farms, supporters of the bill said. Dan Nagengast, executive director of the Kansas Rural Center, said that the legislation would promote community-owned wind projects. “I believe a strong RPS (renewable portfolio standard) is the best key we have readily available to enhance our rural economy,” he said. 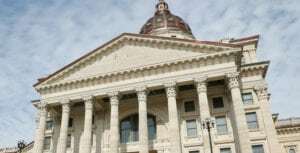 Tom Thompson, a spokesman for the Kansas chapter of the Sierra Club, said the group supported the proposal because it would result in a reduction in carbon dioxide emissions. 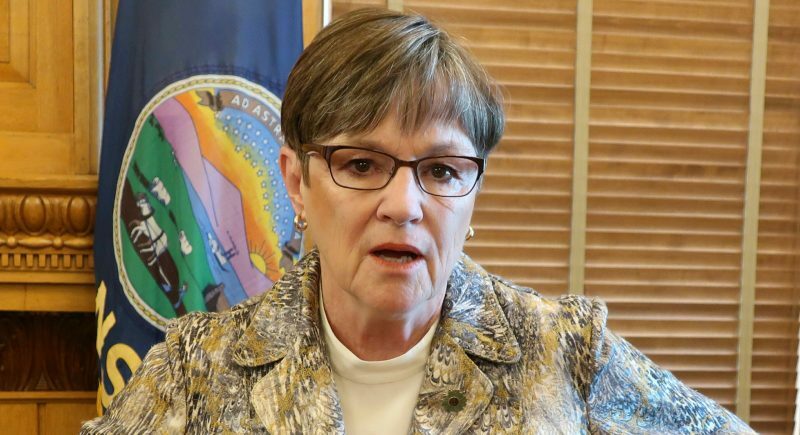 But Thompson said if the renewable energy bill was later linked to approval of more carbon dioxide emitting coal-burning power plants, then the Sierra Club would oppose the measure. “That would defeat much of the purpose of many of these bills,” Thompson said. 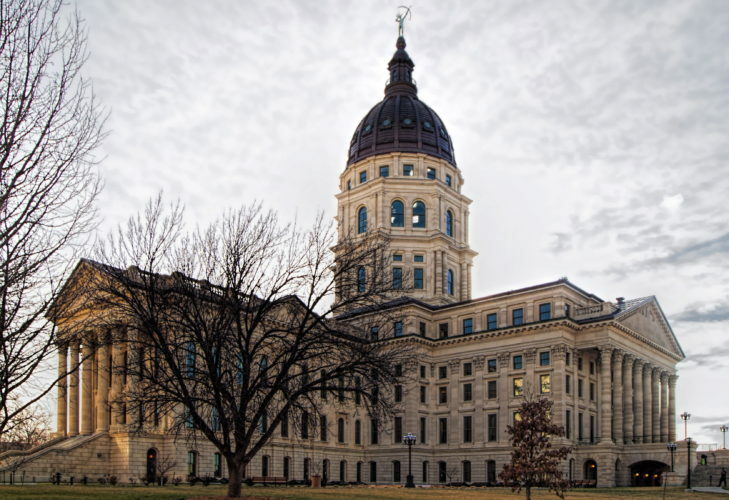 The Legislature has been fighting for more than a year over whether to build two 700-megawatt coal-fired electric power plants in southwestern Kansas. The project has been vetoed by Gov. Kathleen Sebelius, who has objected to the plants’ annual emission of 11 million tons of carbon dioxide, cited by many scientists as a cause of climate change. David Springe, consumer counsel of the Citizens’ Utility Ratepayer Board, spoke against the renewable energy standard, saying it could make energy more expensive for ratepayers. “Each utility system is different from a resource perspective and from a finance perspective. 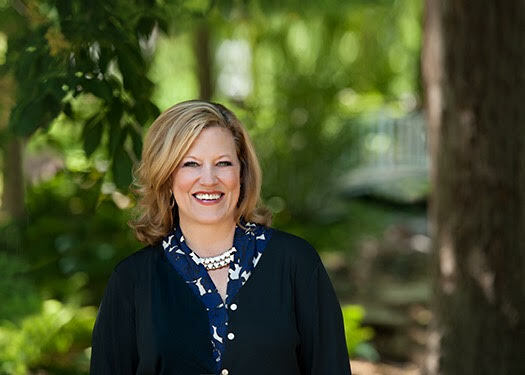 Arbitrarily dictating the level and time of adding resources, regardless of cost or other considerations, is not in the interest of consumers,” Springe said. “Every good idea seems to come out of ratepayers’ pockets,” he added. Mark Schreiber, a spokesman for Westar Energy, which is the largest electric utility in Kansas, said the company supported the proposal and believes it can meet the requirements. Currently, Westar produces about 300 megawatts of wind energy, which represents 6 percent of its peak load, Schreiber said. To meet the 2012 proposed requirement, Westar would have to produce an additional 200 megawatts of renewable capacity. State Rep. Tom Sloan, R-Lawrence, said other issues had to be considered, such as the availability of transmission lines to transport wind-generated electricity, and whether municipally owned utilities should be included in the bill, which as of now they aren’t. “There are several other issues that are not addressed in this bill,” Sloan said. State Rep. Don Myers, R-Derby, asked whether it wouldn’t be better to let the market decide how much wind power should be built in Kansas rather than establishing a requirement. Joe Spease, chief executive officer of Windsohy of Overland Park, said the requirement would help ensure financing for wind projects. The committee took no immediate action on the bill. A renewable portfolio standard also is part of Sebelius’ energy plan.